Setting and accomplishing fitness goals can have vast implications of self-confidence. Also, while taking classes in small groups, there are numerous opportunities for socialization. This can also help with self-confidence, especially for those with introverted tendencies. When self-discipline results in increased physical fitness, self-confidence gets enhanced. 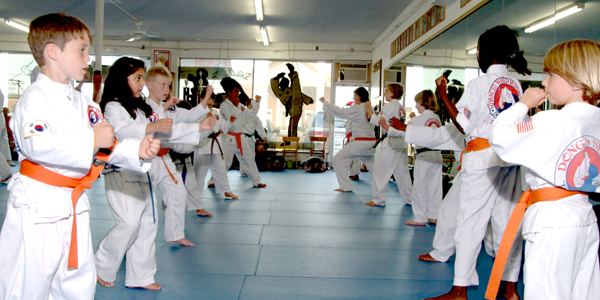 The experts at Kids Karate Classes in Epping are skilled in helping both the children and adults, which has multiple benefits. Often kids, who have attention problems, are rebuked at school and as a result, develop poor-self-image. In Karate Classes, the trainers, rather than focusing on what hyperactive children are doing wrong, look for the strengths of each student and motivate them to use strengths to achieve greatness. The trainers focus on their efforts on teaching methods that work for the students, rather than what is the easiest for them. Kids who take Karate Classes in Epping become stronger in mind as well as their body and also learn healthy eating habits that they can carry with them throughout their lives. They teach kids that in addition to healthy eating, a commitment to physical fitness is equally important to build lasting physical and mental health. Kids Karate Classes in Epping will help you to learn more ways and grab more benefits regarding your healthy and safer life. At The Winged Dragon, we offer kids karate classes for kids from the age of 4 and above, which not only helps them learn to use every aspect of their body and form a healthy level of physical fitness. Contact us today for more details!